It’s been estimated that worldwide spending around digital transformation will eclipse $2.1 trillion in 2019. Yet despite massive investment predictions like this, almost half of C-level execs think they’re at least five years away from actualizing their transformation goals – and many are finding themselves encountering similar obstacles. 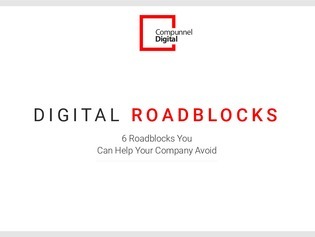 Jump into this report to read through six of the major roadblocks C-suite execs, IT leaders, and IT pros have identified on their own pathways towards digital transformation, from an inarticulate digital strategy to in-house talent deficiencies.